It’s nearing the end of the year. With the holidays approaching, I thought I’d put up a list of my 2018 picks for graphic novels and trade paperbacks. This “Scooby-Doo” series revolves around the Mystery, Inc. gang meeting various characters from both the DC Universe and other Hanna-Barbera series. Volume 5 features appearances from characters ranging from Top Cat to the Challengers of the Unknown. 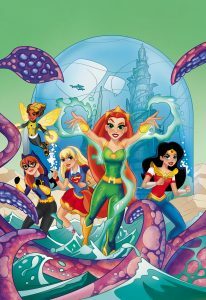 DC’s “Future Quest” series featured modernized versions of the various Hanna-Barbera adventure heroes in various adventures. 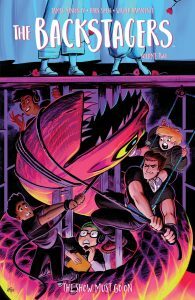 “Moon Girl and Devil Dinosaur” #30. Art by Natacha Bustos. Squirrel Girl continues to be one of my favorite superhero series currently published. The above volumes feature Doreen’s adventures in places such as the Savage Land (Marvel’s dinosaur-filled “lost world”). 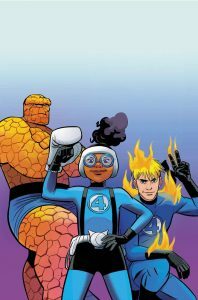 Moon Girl’s series in 2018 featured appearances by the Fantastic Four… or at least the Human Torch and the Thing. “Black Panther” was one of Marvel’s (and Disney’s) biggest hits of the year in movie theaters. Of course, they put out various comics as tie-ins. “Rise” focuses on telling some of T’Challa (and his father’s) backstory. A second volume of “The Backstagers” appeared in 2018, along with two one-shot holiday specials, centered around Valentine’s Day and Halloween. A new “Lumberjanes” original graphic novel, “The Infernal Compass,” was published in 2018, centering around the relationship between two of the ‘Janes, Molly and Mal. 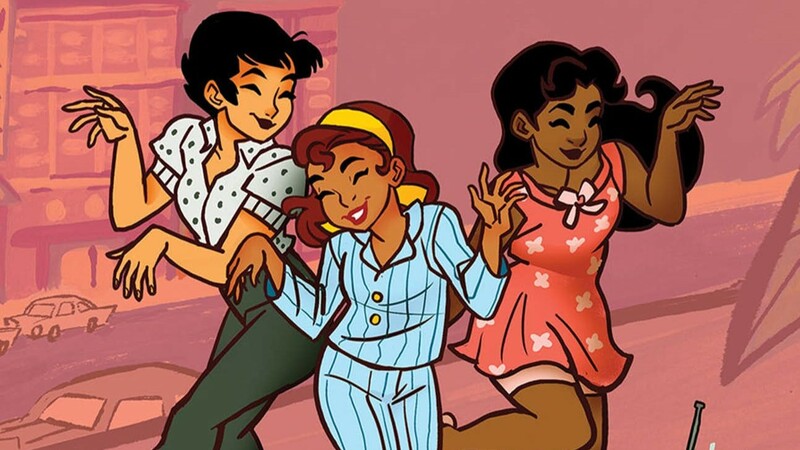 The fourth volume of “Goldie Vance” features a story about a rock music festival, all with the graphic novels’ usual 1960s setting (but 2018 cultural norms). A new “Atomic Robo” storyline appeared in a trade paperback this year. Unlike the “Real Science Adventures” storylines, this story’s set in the present. The latest collection of “FoxTrot” comic strips. Yes, Jason’s a “Game of Thrones” fan, despite its extremely kid-unfriendly tone (or maybe because of it). That wraps up my list for 2018 graphic novels and trade paperbacks. If you have any suggestions or favorite ones released this year, feel free to list them in the comments below.